The San Jose Blog: Sharks Fan Fest this Weekend! Sharks Fan Fest this Weekend! Right before the Saturday, Sep. 27 preseason game at SAP Center, the Sharks are hosting their first Fan Fest. 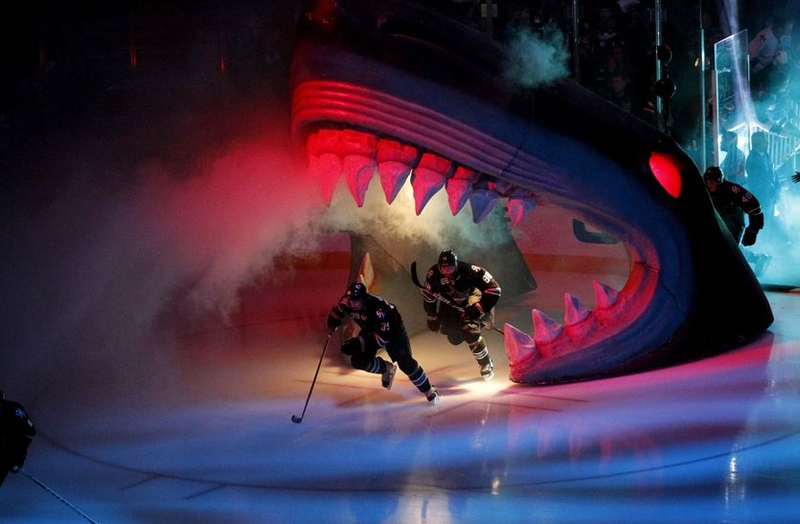 This includes all sorts of activities for fans such as watching the Sharks practice at SAP Center, taking photos with the Shark Head on the ice [awesome! ], and player/alumni autographs. There will also be roundtable sessions with players and coaches moderated by the new Sharks broadcast team and concessions will be open for meals and snacks. Outside of the Shark Tank, you can expect an entertainment area for kids and music. It all starts in a couple days at 9:15am and complimentary parking is going to be available at SAP Center's A, B, and C parking lots. Speaking of free parking...the entire event is completely FREE, but you will need to reserve tickets here. This is a great way to say thank you to the fans for their support!